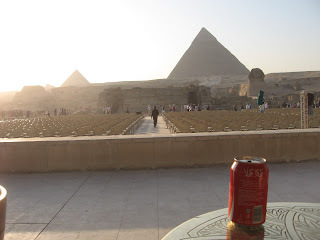 Luckily, you can buy a Coke at the Pyramids. That’s Sphinx on the right. I thought it was much bigger.